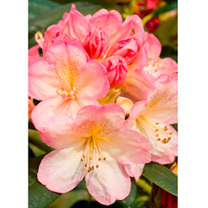 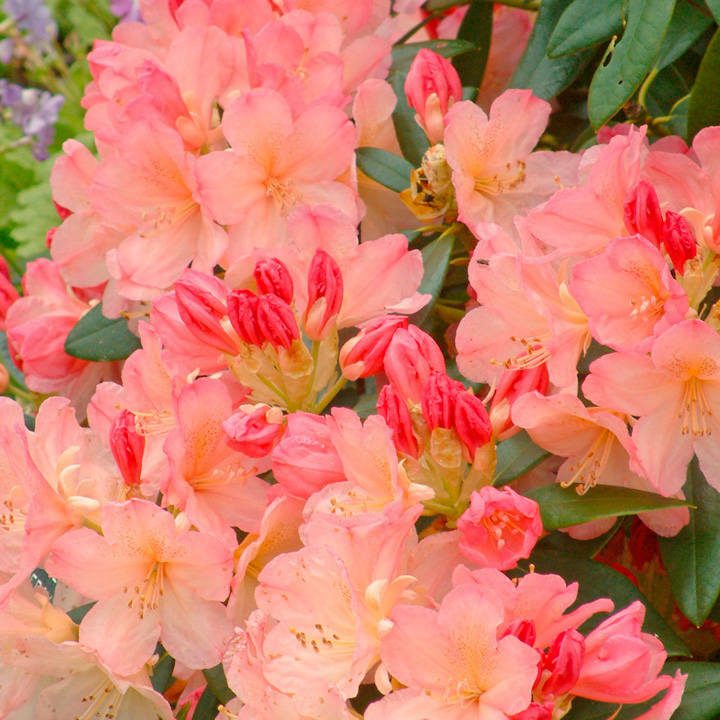 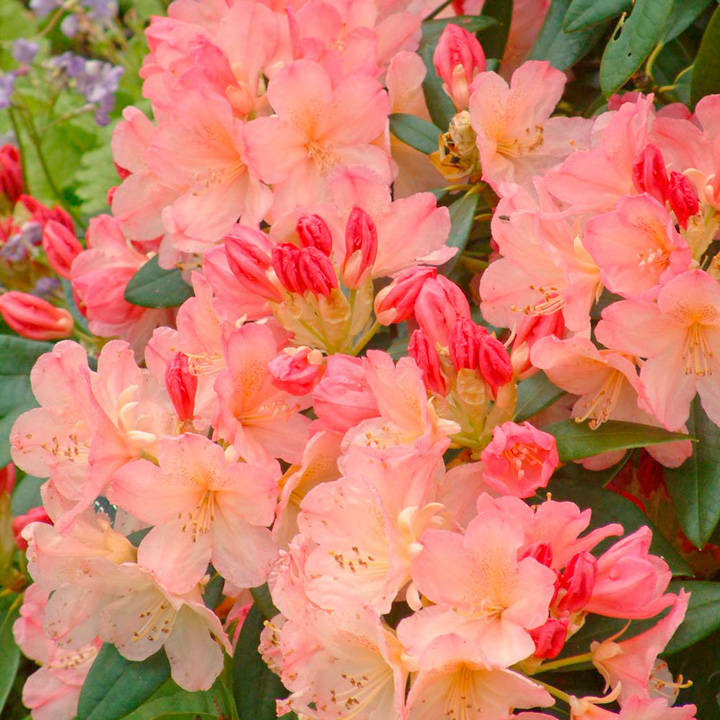 An evergreen hybrid rhododendron with light green foliage. 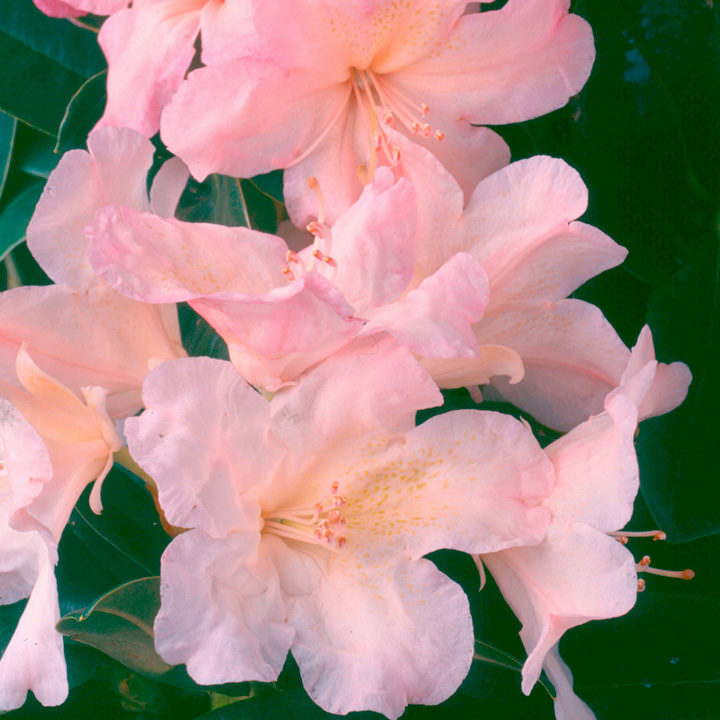 It produces the most splendid pink and cream flowers in great abundance. Flowers May-June. Height 150-200cm. Supplied in a 4 litre pot. 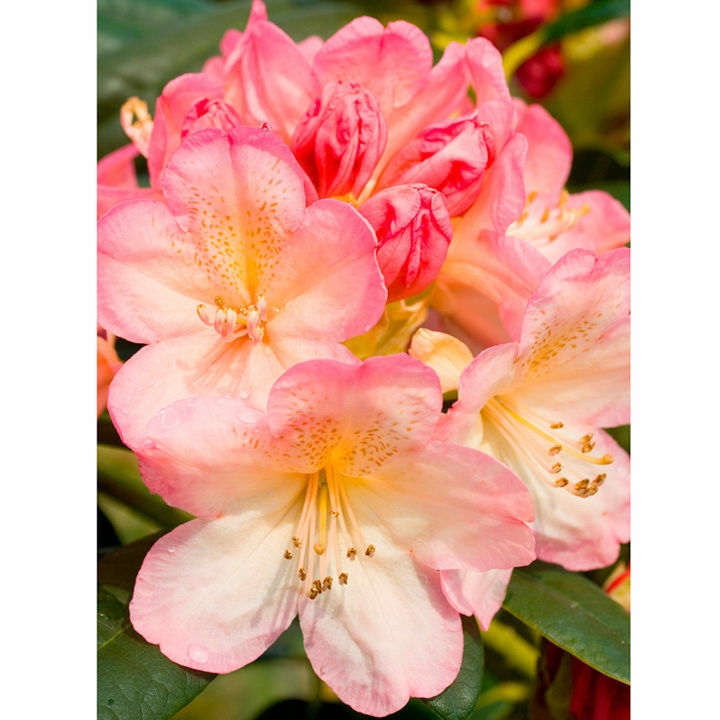 Fertile, free draining acid soil.